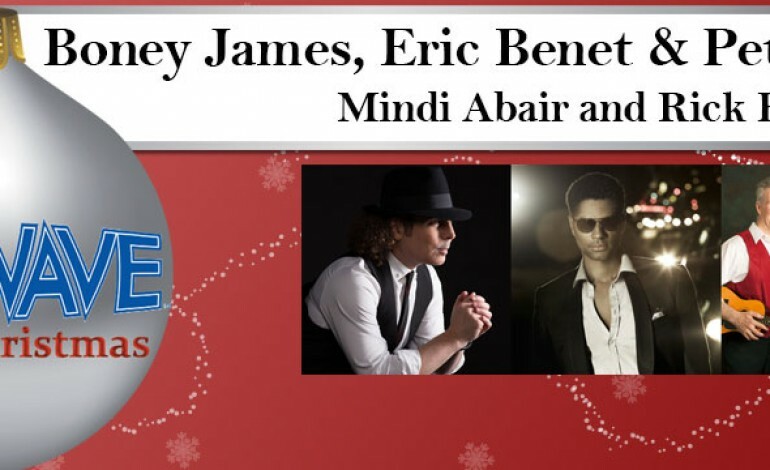 The WAVE wants to put a little soul in your holiday season with The WAVE’s Soulful Christmas 2015 on Sunday, December 13th at Microsoft Theater (Formerly Nokia Theatre L.A. LIVE) featuring Boney James and Eric Benet, with a special Christmas performance by Peter White, Mindi Abair and Rick Braun. Boney James is a four-time Grammy Award nominee and a Soul Train Award winner. Eric Benét is an American R&B and neo soul singer-songwriter who has also received a total of four Grammy nominations to date for his musical work. Peter White is a smooth jazz and jazz fusion guitarist who plays the accordion and the piano. He is known for his 20-year collaboration with Al Stewart. Mindi Abair is a two-time Grammy nominated, American saxophonist, vocalist, author, and National Trustee for the National Academy of Recording Arts and Sciences. Rick Braun is a smooth jazz trumpet player, multi-instrumentalist and producer. Be sure to catch all of these amazing musicians as they perform at The Wave’s Soulful Christmas 2015!